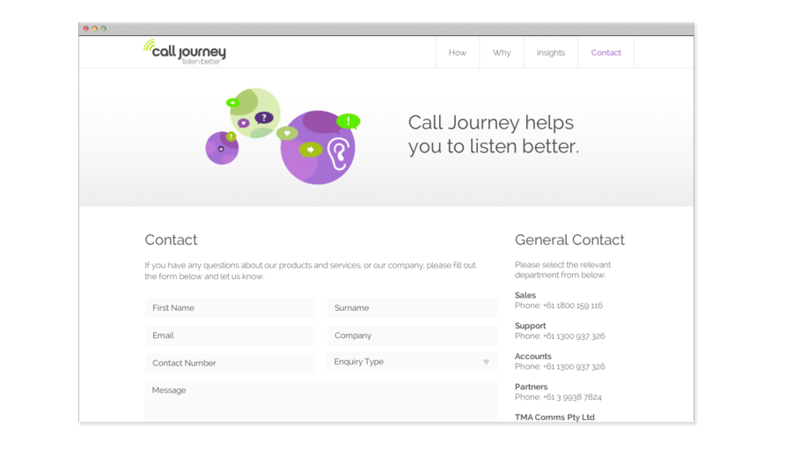 Call Journey is a long-time Digital Thing partner. 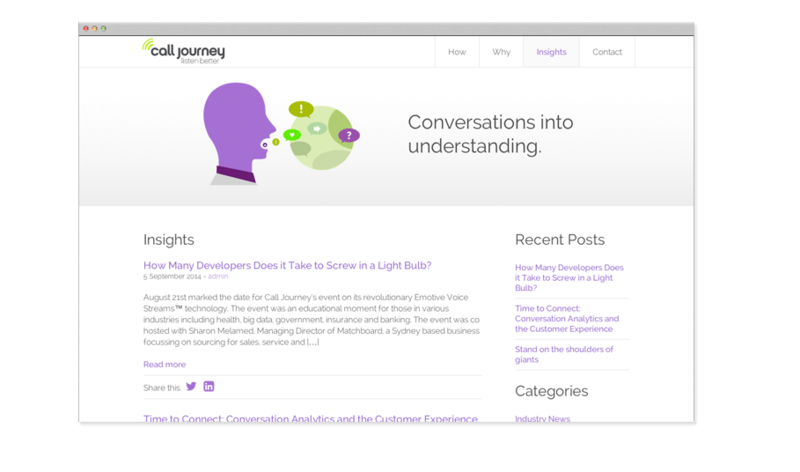 From digital strategy development, through to design, build and execution of a variety of technology, Digital Thing has been there, every step of the way. 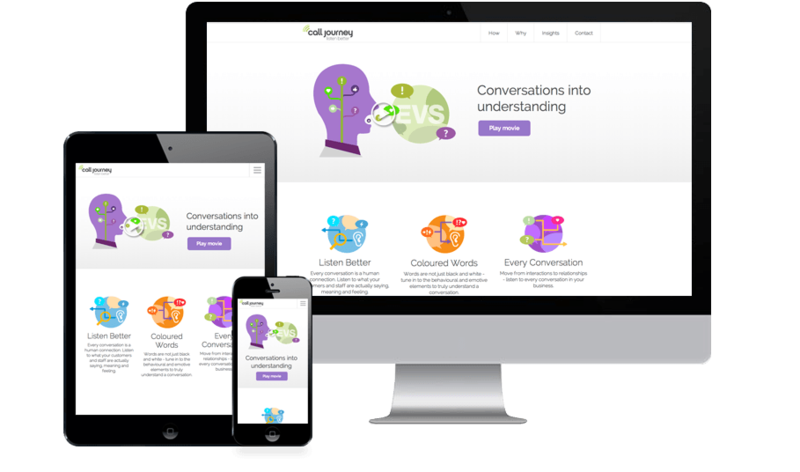 Services have included the build of responsive websites, user experience (UX) design, design and build of campaign landing pages, AdWords and remarketing campaigns, Display Banner advertising and HTML5 and SEO semantic coding. 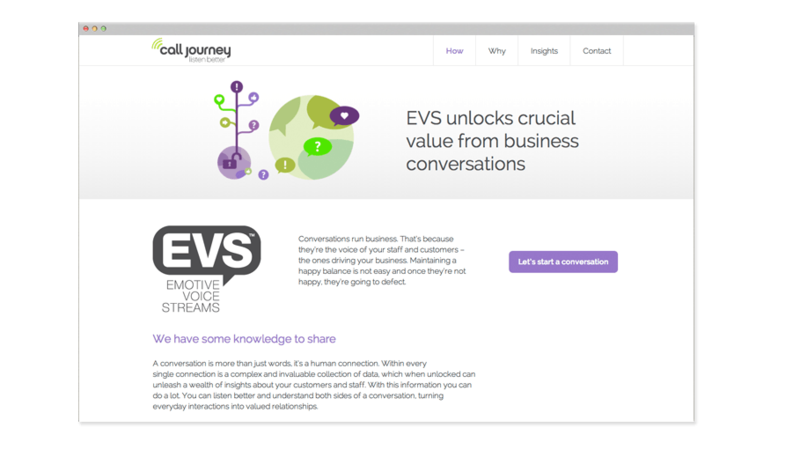 Some of the recent work includes a revamp of the Call Journey backend client system, UX Designs for a mobile prototype for the Emotive Voice Streams system along with WordPress development of the latest responsive Call Journey website.